The mission of every Stylist is to interpret the style of their clients and transform it into an entire image. 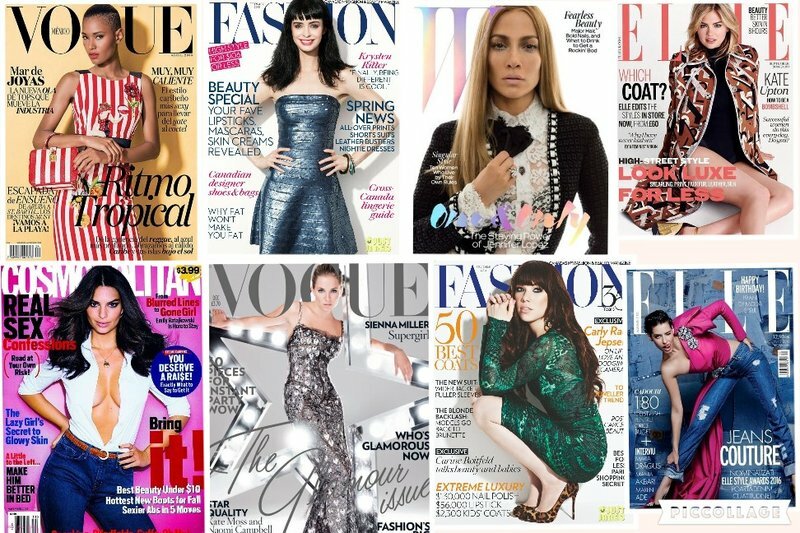 My answer to that is that “ just because you are not on the covers of fashion magazines, it doesn’t mean you cannot have your own style”; something that defines you and leaves an unforgettable image of your persona when you walk in a room, something with the WOW factor. It’s a matter of finding who you TRULY are and have your style – and the way others perceive you –reflect that. To start your journey, you should go through your closet and pick the outfits that you feel more confident wearing; at times the key to a new style is already in our existing wardrobe. The outfits that make you feel at your best should be the “basics” from which you should start building your own style. However when doing that it is always best to identify your body shape first, and also what silhouette is the most common to your clothes. A-line garments that flare out from top to bottom, V-neck vs crew neck, boot-cut vs skinny jeans, or simply long sleeves vs short sleeves. Done? … Now, take a look in the mirror, and remember that it is just as important to focus on our good points as on our flaws. Do you have long legs? Are you curvy? And Is this something that is ever going to change? … if not, the first step is towards learning to love who we are and how to work with that. Don’t think about the things that you cannot wear, think about the things that you can wear, it’s all about working around your so called “imperfections” and learn to love what you have, because once you fall in love with the things that make you look exceptionally good, you’ll start to think differently about yourself … starting from the inside. So, do the items in your wardrobe share a common silhouette? Do your favourite trousers all have a slim hem? Are all your tops fitted? Do you have more short skirts than long skirts? The more you can identify what does and doesn’t make you feel most comfortable and flatters your body, the better your wardrobe will work for you, and it will also make future shopping trips much easier. We all have to deal with the perception we have of ourselves. Some people are more concerned about their bodies and therefore would focus more on finding the right silhouette that works for them, while others are more worried about their lack of style and are therefore more interested in finding out the latest trends in colours and patterns. The key is to define who you are, what works for you, and how that can be transformed into a power statement. It’s important to understand WHY you buy your clothes; is it because they are trendy or to suit your lifestyle? People who are Stylish regards their belongings as something to hold onto because they are part of who they are, whether Trendy people often shop for things because they are in fashion, they have seen them in the magazines and represent the NOW. If you favourite piece of clothing went out of style, but it is nevertheless an item of good and durable quality (an investment piece), there will always be ways to update it, add a belt, some statement jewellery, a nice scarf, and make it NOW. 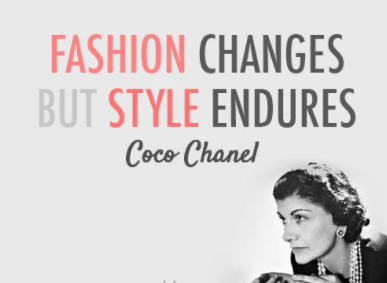 Fashion evolves constantly … Reinvent it!! 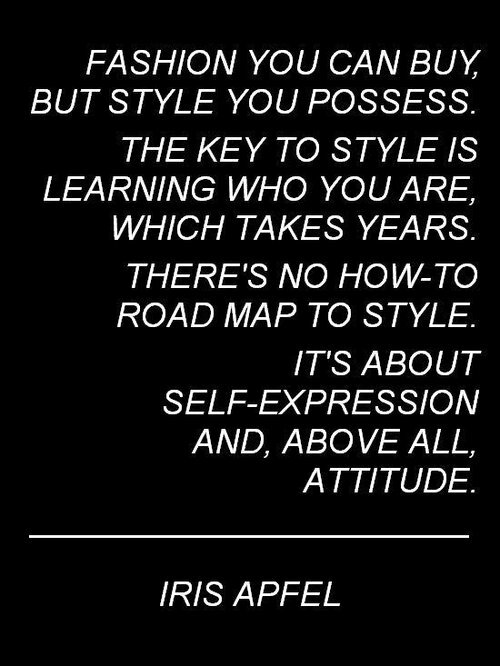 You don’t have to be obsessed with fashion to have a great sense of style. Just turning on the tv, surfing through social media, we are constantly reminded of what is in, what is out, what everyone should be wearing, without focusing on what simply feels right. Don’t try and make yours something that does not work for you, as the final result will be a constructed and soulless image of yourself that does not reflect who you are. Buy things that in 10 or even 20 years’ time will still work. It does not have to be a super expensive cashmere coat, it can be something more affordable but still timeless, like a button-down shirt, a black pencil skirt, a Breton t-shirt, a tailored blazer. Establish what the basics are and then you can get trendy with accessories; not only it is more cost effective but it will also guarantee that your style will always look fresh. One of the most important things to take into consideration is your lifestyle and the specific needs your wardrobe should work around. Do you work in the corporate world? Does your social life take up most of your time? Are you a new mum or a housewife? There is also the matter of whether you are a Morning, Day or Evening person. Morning people can get out of bed without pressing the snooze button and can start their day fully energised without having to reach out for coffee. If you are a Morning person you will need a clean and simple, no-nonsense wardrobe. Day people, who often are at their best toward the afternoon, need a transitional wardrobe with outfits that can easily go from day to night. And the Evening people, outgoing and with a very busy social life, need a wardrobe that has more flair and drama, sequins and sparkle. You could be one or more of those people, and if you are all three … than you’ll have a GREAT wardrobe. I strongly believe in colours dictating our mood and this is probably why people can feel intimidated by them. One day you can put on a bright yellow sweater; yellow is the colour of the sun, it’s a feel-good colour that makes us feel energized and overall in a happier mood. Or, if you are feeling really miserable, you wear black.. you can never go wrong with black, Right! It’s easy, it makes you look presentable and you can set off about your business without having to think for the day. But then again, your black may not necessarily be BLACK, mine, for example, is grey, or it can even be red, it can be any colour that serves the purpose. It is the colour that represents your blank canva on which you can start creating, the foundation for your overall colour chart. People are so afraid of colours they normally choose just one at the time. Colours are such a powerful tool, they can affect our minds and lives in ways that, more often than not, we do not consciously realize, and if used correctly they can truly become our allies. You need to understand tonality and what works best with your skin, starting from your basic. Never fill your wardrobe with just one basic colour, that’s boring and will make you look and feel invisible. Build your wardrobe with a range of subtle tones and shades that complement each other and work well together, until you are more comfortable mixing it with bolder colours. To you, my dear reader, I have given the tools to help you find and define your style. It’s not based on what is in the stores, in the fashion magazines or on the Internet; it starts, first and foremost, from your Personality. This is what needs to come out and reflect in your clothing and accessories. We are all actors on the stage of life, and being able to change the public perception and our own persona with the clothes we wear is Key. So take a good look at yourself, at what you like, at your needs, your desires, and get ready to look and feel like a Million Dollars. Now … if you still don’t have a clue about what you like, let alone love, don’t despair – a lot of the people with whom I work don’t know what they really like, yet when I help them discover things they can fall in love with, they completely change their perceptions and develop new personalities. Book a Session with me and let me help you fall in love.